Clever, thorough, and with a keen knowledge of the law, Jason tackles complex commercial disputes as part of a well-oiled litigation team. Jason thrives on the complexities of commercial litigation, frequently representing large companies in federal and state courts, at both the trial and appellate levels. He represents clients in individual and class action disputes across the country, focusing heavily on contract litigation, business torts, and other commercial issues, including antitrust, consumer and securities fraud, trade secret misappropriation, and false advertising. Jason’s ability to build relationships often makes him the first phone call for distressed clients. He offers practical answers to questions about everything from antitrust compliance to the finer points of litigation procedure. 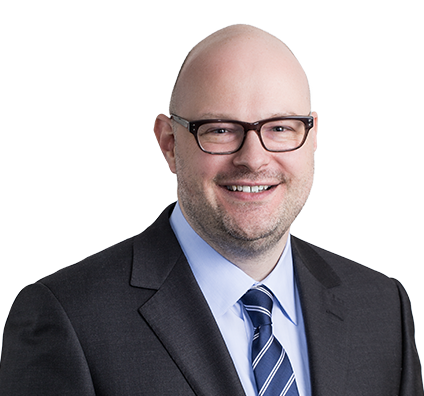 Jason also provides representation on matters involving trade secrets and licensing agreements, as well as noncompete agreements and other employment-related restrictive covenants. He regularly advises businesses on pricing policies, distribution and supply chain management, and e-commerce issues. A true team player, Jason handles many of the details and much of the voluminous research required for a successful defense. He provides a fresh perspective and develops real-world solutions that are integral to client success. Jason is deeply committed to promoting diverse talent in the workplace. He serves on firm’s Diversity, Equity & Inclusion Council, and on the firm’s Recruiting Committee in St. Louis. Prevailed on appeal in antitrust-connected subpoena enforcement action involving separate proceedings against competing pharmacy benefit managers. The Ninth Circuit Court of Appeals held, on a matter of first impression, that the Federal Arbitration Act (FAA) does not grant arbitrators the power to compel production of documents from nonparties outside the context of a hearing. Secured judgment on appeal in favor of developer and operator of publicly funded transportation project. The Missouri Court of Appeals held that plaintiffs unreasonably delayed in bringing their legal challenge to the project. Obtained appellate victory in lawsuit against multinational drug company, as to Alien Tort Statute (ATS) claims brought by Nigerian children and their guardians. The Second Circuit Court of Appeals held that allegations that experimental antibiotic testing, without consent or knowledge, stated an ATS claim, because such testing violated universally accepted norms of customary international law. Achieved dismissal of 15-year-old putative class action against multiple pharmacy benefit managers, because plaintiffs destroyed evidence during the course of litigation that was material to their substantive claims. Won summary judgment for healthcare client in a putative class action brought under the Telephone Consumer Protection Act (TCPA), concerning informational employee benefits faxes. Successfully defended judgment on appeal before the Sixth Circuit Court of Appeals. Represented former board member of leading insurance company in companion shareholder derivative and securities fraud class action lawsuits, where plaintiffs alleged that the company misstated its financial performance in order to mislead investors about its financial condition. Defended software company executive in Securities and Exchange Commission (SEC) enforcement action, involving alleged accounting irregularities and improper revenue recognition practices by company and certain of its executives. Successfully litigated dispute arising out of cross-border joint venture-before the London Court of International Arbitration (LCIA), and later in federal court, where recognition and enforcement of the LCIA's arbitration award in favor of the client were sought. Won complete defense verdict for healthcare client in contract dispute, where the plaintiff sought more than $20 million in damages for the alleged wrongful termination of the parties' agreement. Secured early dismissal of complex antitrust action brought by healthcare provider against pharmacy benefit manager client. Defeated pharmacy's request for injunction seeking to stop client, a pharmacy benefit manager, from terminating the pharmacy from the client's provider network for multiple contractual violations. Defeated motion for preliminary injunction sought by plaintiff building products distributor against its competitor and certain of the plaintiff's former executives who had joined the competitor. Plaintiff failed to demonstrate a likelihood of success on merits of its trade secret misappropriation and breach of employment agreement claims. Successfully defended leading manufacturer and marketer of sporting goods in license agreement dispute with developer of baseball gear technology. Prosecute appeals on behalf of indigent criminal defendants through Missouri Coalition for the Right to Counsel, a nonprofit seeking to ease the caseload of the state's public defender system. Represented gay Colombian asylum seeker in removal proceedings before the U.S. Immigration Court in Manhattan, New York, resulting in a settlement with the government that allowed the client to live and work in the United States. Jason is a gregarious personality who enjoys travel, cities and the arts. Jason has played the violin since he was a child—“pretty decent for someone who is a lawyer and not a professional violinist.” He has been known to perform around town, including with the St. Louis Philharmonic. Jason loves exploring St. Louis and on weekends can often be found on the streets of city neighborhoods, in search of great architecture and the best spots for food and entertainment. Jason’s passion for pro bono efforts is evident and contagious. Jason frequently works on asylum cases and is involved with the Migrant and Immigrant Community Action (MICA) Project in St. Louis. He focuses on linking local public interest organizations and their clients with pro bono attorneys, as a board member of The Bar Association of Metropolitan St. Louis. Jason recognizes the value pro bono work provides, not only for his community but for young associates working on career development. Jason is a go-to source for connecting new attorneys with the numerous pro bono initiatives the firm offers.